Feel that creative buzz as ArtSpan unveils a new exhibition featuring works by some great talents. 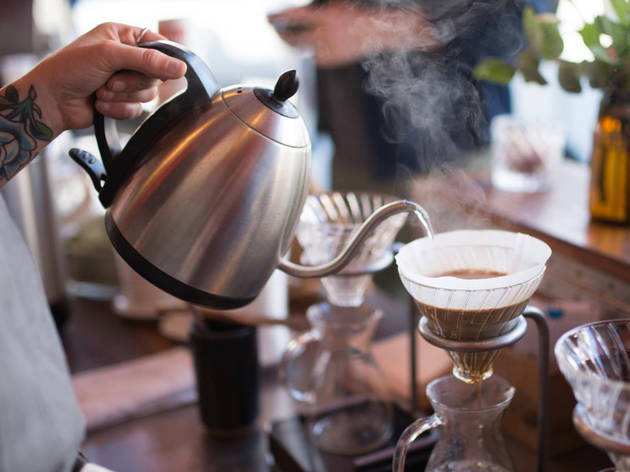 Ritual Coffee Roasters is playing host to the reception, serving up some of its famous brew and tasty treats to complement the mix of mediums. It’s all part of the ambitious organization’s Art-in-Neighborhoods program, which aims to make art accessible to everyone — even caffeine addicts.